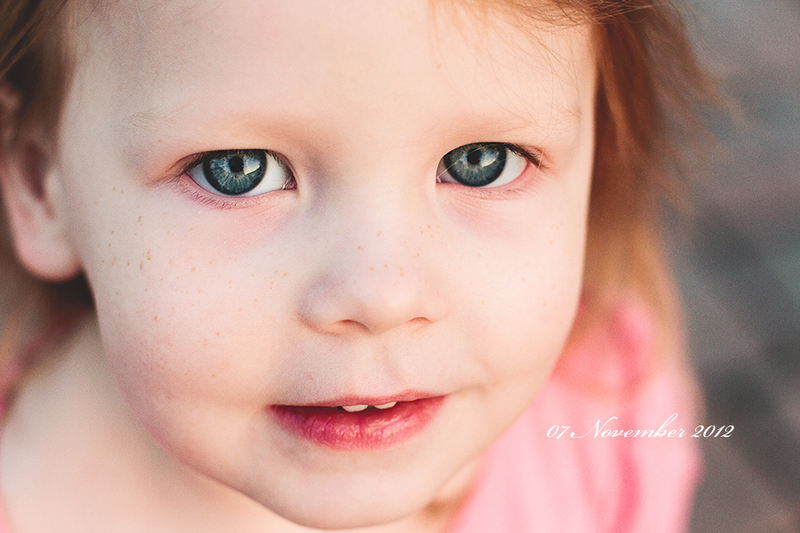 Day 7: I am grateful for her big blue eyes, her freckles (oh, how I adore her freckles), her rosy pink lips, and the way her hair turns red in the sunlight. I am grateful for the way she looks at me and for her sweet and loving personality. I am grateful that God trusts me enough to make me her mother. This entry was posted in Everyday, Snapshots, Thirty Days of Gratitude on 7 November 2012 by StacieMac.